At Tribeca Plumbing, we stand by the principles of honesty, reliability, and dedication. Need commercial plumbing repairs and installations? Tribeca Plumbing can assist you! Looking for a drain cleaning service? Call us today for quality drain repairs. Have a plumbing repair that can't wait! We offer 24/7 emergency plumbing services. For affordable toilet repairs and installation, look no further than Tribeca Plumbing. If you’re in need of a plumbing company in Dallas, TX, look no further than Tribeca Plumbing, Inc. 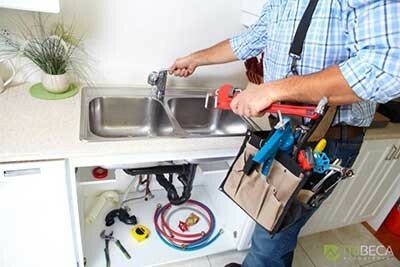 When you’re looking for a plumbing company, you want a contractor who is able to take care of all your plumbing needs. We know that plumbing maintenance and repairs can be stressful. 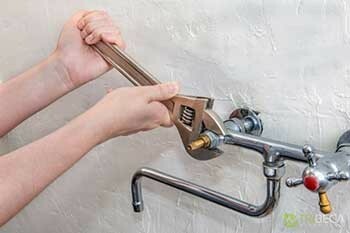 A lot of times homeowners and business owners will decide to take on their plumbing tasks by themselves. While the idea might be to save money, it can actually cost you more in the long run. If you’re unfamiliar with what you’re doing then more problems can occur. If you need a plumbing company in Dallas, TX, give us a call today at (214) 402-5454 for quality plumbing services you can trust. Contact Tribeca Plumbing, Inc. for All Your Plumbing Needs! Don’t wait until your plumbing issues become worse! Whether you need residential or commercial plumbing repairs or installations, our company will be able to handle any plumbing problem. We are a plumbing company that believes in service that is timely, affordable, efficient, and reliable. We guarantee that whether you have a small plumbing issue or a big one, every job is treated with the utmost care and quality. It is important that our customers know what is going on; we will always keep you informed about your plumbing problem, what repairs need to be done, and cost of service. We consider our plumbers and customers to be on the same team, so we will always keep you in the loop. Life can get pretty crazy and finding the time to take care of our home maintenance and repairs can be tricky. Our plumbers will work with you to find a time that is convenient for you. We also guarantee to be upfront about our service and repair costs, never surprising you with hidden fees. If you’re looking for a friendly and quality plumbing company in Dallas, TX, give us a call today at (214) 402-5454. We look forward to assisting you and providing you with quality plumbing services that will last. It is our goal to provide exceptional plumbing services at affordable prices. We only hire plumbers who are certified and who are up to date on procedures and plumbing codes. We want to ensure our customers work with a plumbing company that is honest, friendly, and reliable and you will receive that when you choose Tribeca Plumbing, Inc.
Commercial Plumbing Superior commercial plumbing services by Tribeca Plumbing, Inc.! Faucets & Sinks Leaky sinks and faucets can be annoying, but Tribeca Plumbing, Inc. is able to fix your faucet troubles immediately. Hydro-Jetting If you’re experiencing stubborn drain clogs and sewer blockages, our Hydro-Jetting service can fix it! Residential Plumbing If your residential bathroom or kitchen is acting up, Tribeca Plumbing, Inc. has got your back! Sump Pumps Sump pump installation can prevent unnecessary floods in your basement or crawlspace! Tankless Water Heaters Compact, energy-efficient, and affordable water heaters that deliver maximum heating quality. Water Heaters Is your water heating not working like it used to? At Tribeca Plumbing Inc., we are able to repair your water heater good as new. Water Softeners Installing a water softener can deliver fresh and pure drinking water. At Tribeca Plumbing, Inc., our licensed plumbers have the knowledge and skills to repair any plumbing issue you might have. Whether your toilet is broken or you have a drainage issue, no job is too complicated for our plumbers. Emergency Plumbing Never worry about a plumbing disaster with the help of Tribeca Plumbing, Inc.! Drain Cleaning When you are having issues with drain, give us a call today! Garbage Disposals Keep your garbage disposal in good condition with repairs and maintenance from Tribeca Plumbing, Inc.
Gas Line Repairs Gas line leaks can be scary, but Tribeca Plumbing, Inc. is here to take care of your situation. Leak Detection & Repairs Don’t suffer through pesky leaks with our detection and repair plumbing service! Slab Leak Repairs Slab leaks can be very stressful, but at Tribeca Plumbing, Inc., we want to take the stress away. Toilets Don’t settle for a toilet that is always clogged, call Tribeca Plumbing, Inc. today! In order to make sure your repairs are long-lasting and efficient, we use innovative plumbing tools and technologies that will be able to detect your plumbing issue and repair it more effectively than before. If you’re looking for an honest and reliable plumbing company in Dallas, TX, give us a call at (214) 402-5454 today! Repiping Your one stop shop for you repiping needs! Sewer Camera Inspection Technologically advanced sewer cameras to detect your plumbing problems! Trenchless Sewer Are you experiencing sewer pipes that are cracked or broken? Contact Tribeca Plumbing, Inc. today for noninvasive trenchless sewer repair and installation! Updated on September 19, 2017 at 2:57 pm by Tribeca Plumbing, Inc..